You don't have to go anywhere! We collect your boxes and other goods directly from your home on the ground floor in order to store them in one of our secure warehouses, free of charge! Need to get your stuff back? Simply schedule an appointment via your computer or smartphone. We take care of bringing your items directly to your home. 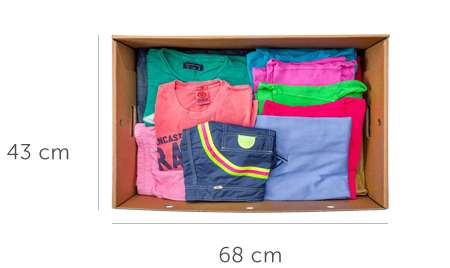 Boxify puts at your disposal boxes and wardrobes during the entire duration of your storage, saving you a lot of money! They are made from durable materials and can support up to 20 kilos. Through our website and the Boxify application, it has never been easier for you to manage your items! It is thus possible for you to schedule your appointments, to manage your objects remotely or to keep an eye on your orders. We don't just store your stuff, we take care of it! This is why we cover the entirety of your objects in the event of damage and this without any additional cost. We take care of your belongings as if it were ours! That's why we seal Boxify boxes as soon as they are collected. Our facilities are highly secure, equipped with alarms, cctv systems and motion detectors. Our storage areas are not accessible. We guarantee you security 24 hours a day! Our goal is to provide you with a 5 star service and an ideal user experience! That's why the Boxify team is at your side 12 hours a day. What fits in a box ? Boxify boxes are designed to high quality standards. Made of durable materials, they can support up to 20kg. 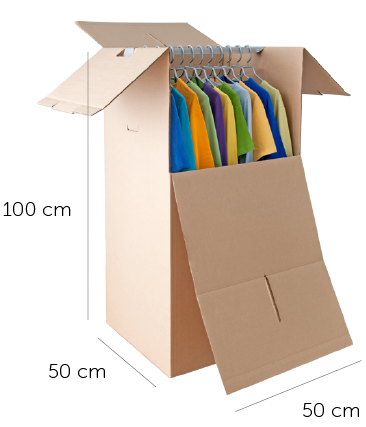 A single box can hold 12 pairs of shoes, or 30 shirts and 10 sweaters. A Boxify box can also contain up to 16 workbooks. Sorry, your zip code is not in our delivery area. Please re-enter or ask for availability.